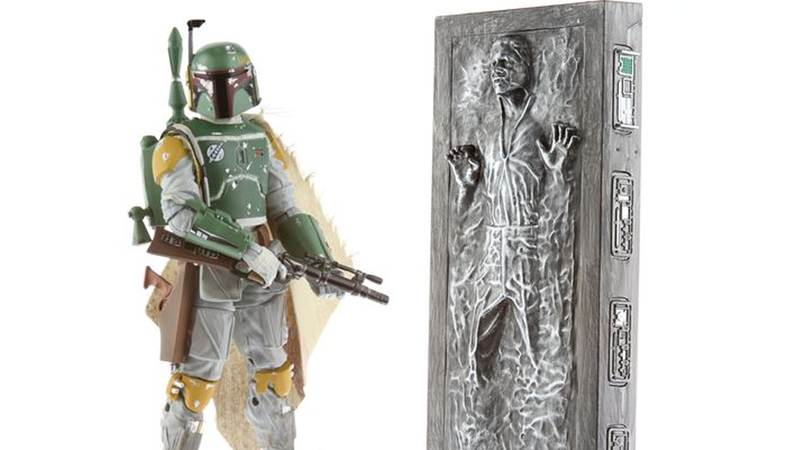 Not only does he come with an intrepid smuggler frozen in Carbonite, but also quite the price tag for 6 inches worth of plastic. Hasbro have revealed a new entry for their 6-inch scale reboot of their Star Wars figure line, the Black Series, that will make it's début at Comic Con this July. It'll run you $45 at the show, which is rather a lot for a 6 inch action figure and a 6 inch slab of stationary accessory - more than double the retail price of the upcoming Black Series figures. It'll probably be even worse for UK-based Star Wars collectors like me, as that price works out around £28 - but it wouldn't be surprising, considering the hefty £21 ($32) price tag on the normal range of 'Black Series' figures at the moment!